Windows Hive news Microsoft launching Windows 10 in multiple cities around the world on 29 July. 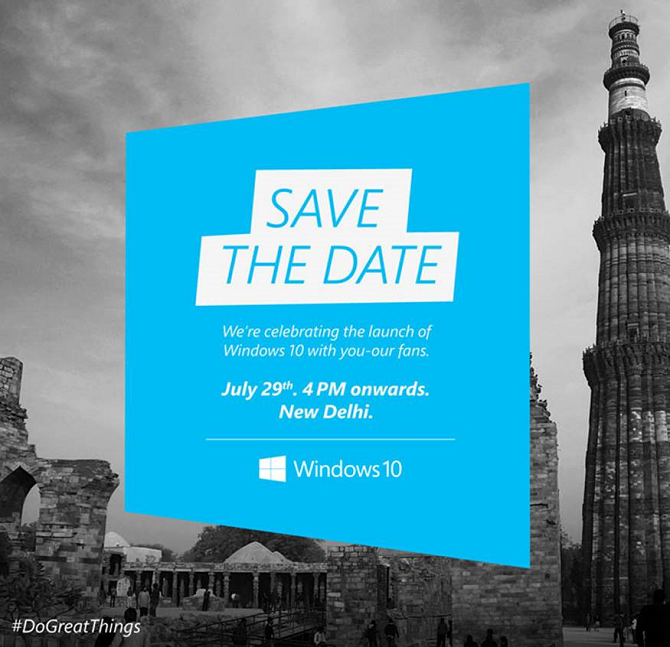 Microsoft launching Windows 10 in multiple cities around the world on 29 July. Over the past few months Microsoft collected tons of review from Windows. There are now millions Windows 10 testers, Microsoft wants to say thank to each enthusiast user. The software maker is putting Windows fans at the center. Instead of a giant launch party in a single city to Windows launches, the company is going to hold events in 13 cities around the world. Windows fans in Sydney, Tokyo, Singapore, Beijing, New Delhi, Dubai, Nairobi, Berlin, Johannesburg, Madrid, London, São Paulo, and New York City will all be able to attend to meet members of the Windows team and get hands-on opportunities with Windows 10. Stay in sync with Windows Hive for more Windows 10 news & launch event coverage.